Fred Farell began singing professionally during his military service in the United States and in Europe, but his love for music and expression extends much longer. Farell’s musical training includes jazz vocal improvisation with pianist and composer Richard Beirach, private voice studies with Cynthia Hoffman and Larry Chelsi in New York, at which time he was enrolled at The City College of New York in Vocal Jazz studies under the instruction of master jazz Vocalist Sheila Jordan. During the 1970’s and early 1980’s, Farell could be found appearing as a solo artist or group leader in New York City at loft galleries and in jazz clubs alike. This included return engagements at both “Sweet Basil” and “Greene Street” during which time he was an artist and member of Cobi Narita’s “Universal Jazz Coalition”. As a featured soloist, as well as an ensemble singer, Farell has performed at Lincoln Center, The Museum of Modern Art, Brooklyn Academy of Music, WBAI Radio, The Kitchen, and Symphony Space, to name a few. Farell has worked with jazz masters such as late saxophonist Dexter Gordon, pianists Barry Harris, Albert Dailey, and Kenny Barron; bassists such as the late Herman Wright, Ratzo Harris, and Rufus Reid. Pioneer vocal artist and educator Jay Clayton (“The Voice Group”) and “Natural Sound” director, pianist and composer Kirk Nurock. In the early 70s, burgeoning jazz vocalist Fred Farell began studying with pianist Richie Beirach in New York City, developing his ear and his chops as an improviser. Beirach encouraged his student to write lyrics to jazz compositions and before long Farrell was diving into works written by Beirach and his colleague Dave Liebman. Farell penned heartfelt, evocative words that added context to the Beirach’s and Liebman’s dramatic music, but after a religious awakening decide to leave the jazz world in 1980. More than 30 years alter, Farell revisited the lyrics he had written and found they still spoke to him. Thus inspired, he contacted Beirach and Liebman and proposed that they finish what he had started. The subsequent trio album Distant Song (Whaling City Sound) was well worth the wait. Farell’s yearning vocals float and drift over the stark and moody terrain of Beirach’s piano and Liebman’s saxophone and flute, the lyrics wistfully introspective. 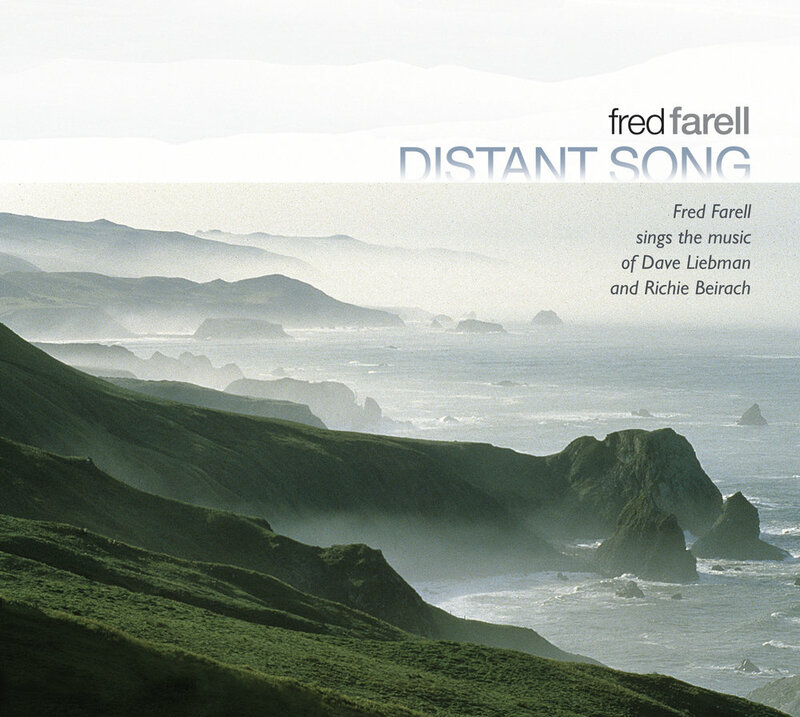 Vocalist Fred Farell’s latest project Distant Song captures the music of Liebman and Beirach beautifully. Farell didn’t merely copy Liebman’s and Beirach’s compositions, he added sublime lyrics and a magically ethereal vocal style. Rich toned vocalist Fred Farell comes up with the creative idea of mixing voice to the songbook of post-bop legend Dave Liebman. The trio of Farell with Liebman, along with Liebman’s long time associate Richie Beirach/p is both an intimate and poetic affair. "Listening to Farell is like stepping back in Time, to mid-20th Century America, when Jazz and Romance were popular. His Sounscapes are like Odes to Love...Farell's "Distant Song" provides enough soothing sounds for listeners to ponder the Human condition...He is joined by Dave Liebman on soprano & tenor Saxophones, and by Richie Beirach on acoustic Piano.